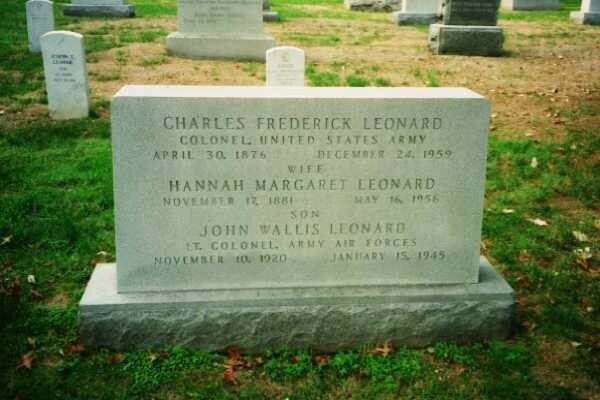 Colonel Leonard's wife, Hannah Margaret Leonard (1881-1956), and his son, John Wallis Leonard, Lieutenant Colonel, United States Army Air Forces (1920-1945) are buried in this gravesite as well. 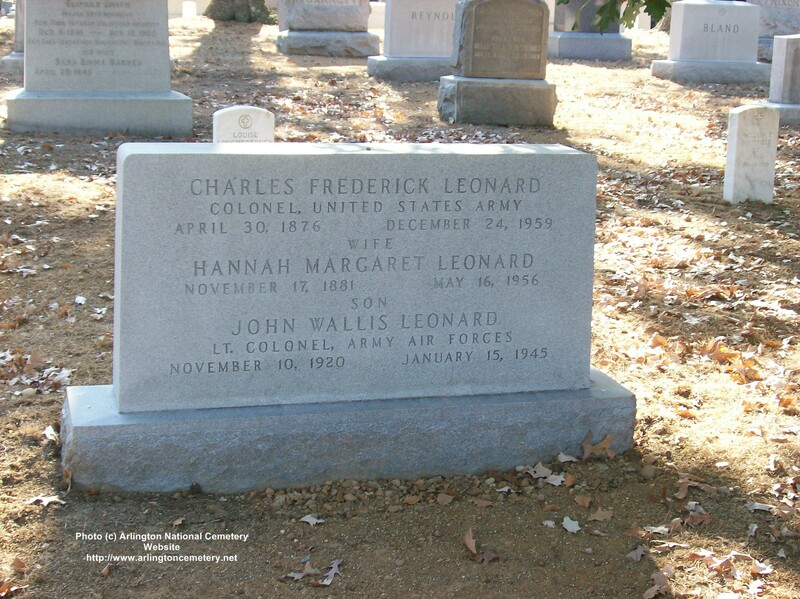 The Colonel's son, Charles Frederick Leonard, Jr., Major General, United States Army, died on 18 February 2006 and is buried with his family is buried in an adjoining gravesite. Research regarding this family continues. William Nicholas Leonard, Rear Admiral, United States Navy, and his wife, are also buried in this plot in Section 1 of Arlington National Cemetery.